As a vegetarian for almost 20 years I’ve heard the “Where do you get your protein?” question more times than I can count. Here’s one of the countless options available for those worried that they’re not getting adequate protein. I like to sprinkle a bit of this plant-based protein powder on my breakfast cereal, along with some soaked chia seeds, ground flax and pumpkin seeds. I have my cereal with oat milk, almond milk, or coconut drinking milk. Due to the near-omnipresence of soy in all kinds of food products, I prefer to not deliberately add soy where possible. 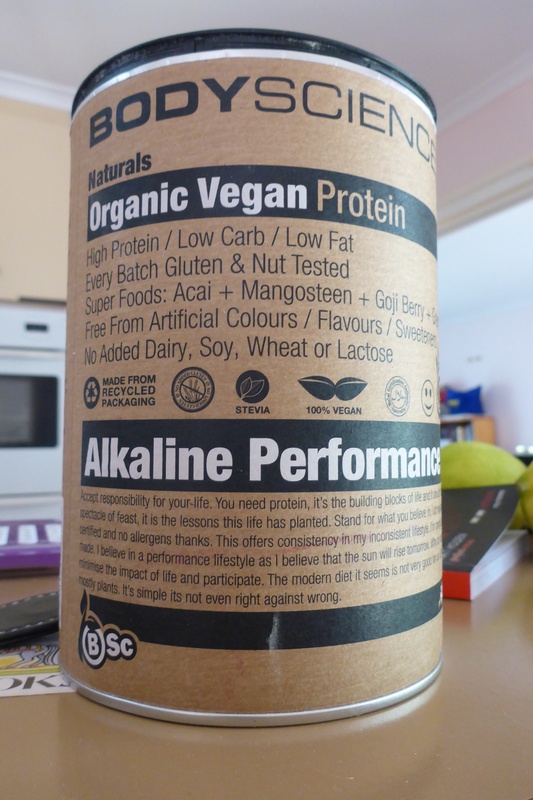 One of the many Organic Vegan Protein products I’ve tried. This one goes great with cereal. Posted in vegetarianism and tagged allergy friendly, dairy free, food, gluten free, nut free, plant based, protein, protein powder, pumpkin seeds, soy free, vegan, vegetarian, what vegans eat, wholefood on November 6, 2014 by Fiona.